Changing the New Zealand Flag: What Does It Mean? New Zealand, Aotearoa, pronounced A-o-tea-ah-row-ah by the Indigenous Maori, land of the long white cloud, or land of first light, more commonly known as middle earth thanks to Local filmmaker Sir Peter Jackson. Two tiny islands in the southern hemisphere, jewels between two oceans, far from the maddening crowds and the growing discontent of the rest of world. Hidden down under Australia, and with a population of only 4.5 million and growing; a melting pot of multi-cultural diversity in which the people of this land are extremely proud. Yet this tiny isle has the same big world problems as the densely populated northern hemisphere. New Zealand, unbeknownst to many, has long been seen as a testing ground for experimentation, first by the colonising power of the British Empire, who after realising they couldn’t go round killing and enslaving the natives without creating wars, decided to make treaties with the Maori: Experiment number one. The New Zealand Experiment part two arrived more recently, in the early 1980s, with the implementation of economic theories that had never been tried or proven anywhere else in the world. Today, these two experiments are converging: the coloniser’s idea of governance, clashing with the indigenous people’s understanding of independence and sovereignty, merging with the rise of the corporate state through the economic theories of neo-liberal capitalism. This threatens all peoples’ freedoms and sovereignty; indeed as people’s ability to pay to live decreases, the World Bank and other guardians of the global economy have hailed the New Zealand Experiment as a great success. Consequently, the people of Aotearoa have become increasingly concerned about identity, sovereignty, and foreign control, more so when faced with ex-Merrill Lynch bankster, Prime minister John Key, spending over $26 Million on a flag change nobody wants. Now you might think that changing a flag is nothing special. Other nations have done similar and nothing untoward happened. You might think that there are many good reasons to change the current flag: New Zealand can unshackle itself from the colonizing powers, forge her own identity, and be her own sovereign nation. 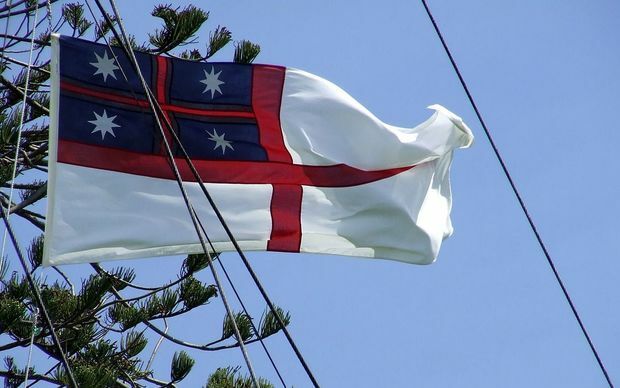 Another is that changing the flag would give us an identity that would once and for all stop people thinking we are simply another state of Australia. However it’s not that simple. A change in constitution is also happening, along with the signing of the Transpacific Partnership Agreement and the introduction of newly minted money that appears to lack any royal presence. These things together are ringing warning bells to all with ears to hear. 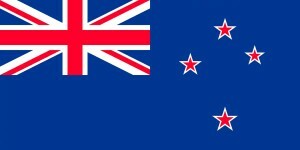 According to current polls over half the people of New Zealand don’t want a flag change. For many though, things appear quite benign, even logical; but the corporation known as Her Majesty the Queen in Right of New Zealand, who swears allegiance to the Crown, craftily masquerading as a legitimate democratic government, is not the only entity holding power in this land. Nor does it have the only legitimate flag. The flag debate and referendum has only served to open a deep wound and highlight a long-standing grievance for our first nation peoples. The Maori are Tangata Whenua, which means people of the land. They were here long before the colonizing powers of empire, and although many of them embraced the new peoples who came upon their shores, they never once ceded their independence nor their sovereignty over what they considered to be their land: Aotearoa. This essay cannot begin to explore the depths of injustice and deception that has plagued Maori, but I hope to reveal enough to enable an understanding as to why in these times of media spin and government deception the He Whakaputanga, meaning, The Declaration of Independence, is all that stands between Maori, and all that live in Aotearoa, as one people, and the signing into power of the Trans Pacific Partnership Agreement; and it all starts with a flag. New Zealand now, as it was then, is under Admiralty law; the law of the sea. Maori were seafarers and traders. In the newly emerging colonial era one of their ships was detained by officials in Sydney, Australia for flying only a plain woven flax flag. Under admiralty law an officially recognized flag was essential as it represented the right to TRADE; it gave DUE AUTHORITY to that country or nation to be able to ‘officially’ trade with other countries. Flags are not traditional to Maori, but they recognized the symbolic power and importance of them to the colonizing power and so in 1834 British official, James Busby, hearing of the plight of the seized vessel and seeing the benefit of uniting the tribes as a collective, called the Chiefs of the Northern districts together to decide upon a flag. There were three options and the one they agreed upon became known as Te Haki Tuatahi, meaning the first flag. This flag was given a 21-gun salute, which was an official acknowledgement by King William IV that this flag was now the approved flag of the new country. One year later, in 1935, Busby gathered the chiefs together and they signed He Whakaputanga, The Declaration of Independence. The chiefs declared themselves rulers of New Zealand, giving themselves Kingitanga, meaning sovereign power, and declared New Zealand a Whenua Rangatira, which means an independent state. Then they laid out the protocol for a Huihuinga, meaning congress that would meet each year in the autumn to make laws and decisions. He Whakaputanga, The Declaration of Independence, asserting their Kingitanga and Whenua Rangatira was then sent to England and was accepted and recognised by King William the IV. Thusly the chiefs had formed a United Confederation of Tribes and had their first flag, Te Haki Tuatahi. Nothing is ever quite as it seems whenever empire is around, and so by 1839 the British government had sent instruction to obtain a cession of sovereignty from rangatira, Maori chiefs, and to establish the sovereign authority of the British crown. This resulted in Te Tiriti O Waitangi; The Treaty of Waitangi, of 1940, which then usurped He Whakaputanga, The Declaration of Independence, resulting in a change of flag, and creating violence and conflict between Maori and the Crown to this very day. The Crown believes that in signing the Treaty of Waitangi, Maori gave up sovereignty and independence of New Zealand. Maori of course hold firm that in their version, Te Tiriti O Waitangi, they maintain their sovereign independence. Today many Maori hold firm to the 1835 He Whakaputanga and maintain that Te Haki Tuatahi is the first and legal flag of the sovereign independent nation of Aotearoa, and that the Crown is an illegitimate entity. This brings us back to today and the current referendum to change the colonial flag in the face of the Trans Pacific Partnership, a change in bank notes, and the drawing up of a new constitution. 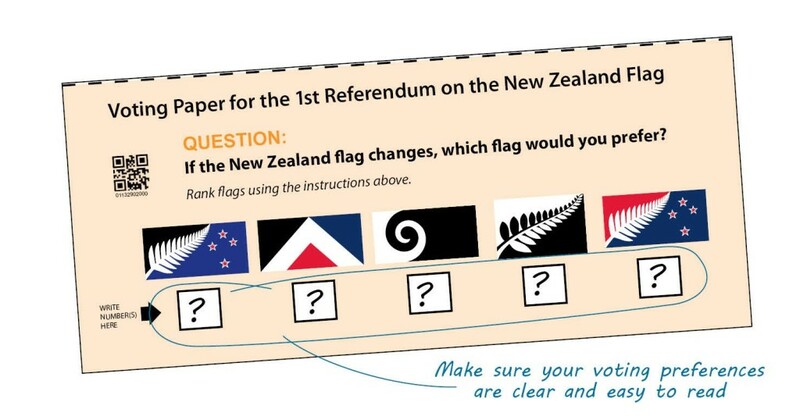 A change of flag needs the consent of the people, and the people are being tricked by the referendum because the Crown needs consent and it’s not asking directly whether you would like an actual flag change, rather it’s stating “IF the flag changes which flag would you prefer”. Once you give your preference, you have given consent to changing the flag; it’s all in the way the language is used. The second part of the referendum to be held in the New Year, then gives you the choice to choose between the newly chosen flag or keep the old one. Never does it ask you whether you want to change the flag. Once you choose the original flag you have then given consent for it to be used to trade as we saw with Te Haki Tuatahi, the first flag. You have given it DUE AUTHORITY. I would like to take a moment here and thank Mr. Ben Vidgen, an investigative journalist with a B.A. in Political Science, and author of State Secrets I and II. He is the editor of Postman Productions. Ben found out about ‘Due Authority’ and wrote an article about the flag change, exposing the agendas of the flag panel line-up. His article went viral on social media and caught the attention of the guardians of the gates of acceptable information, TV 3’s Story. The program quickly debunked everything he had said. What they did was reassure the public that there was no validity to the claim of ‘Due Authority’. But as we have discovered, there is. See his article here. To conclude, a flag is no mere piece of fabric; it has significance and meaning, as we have seen with the first flag of the Maori people, which legitimized trade. Coupled with the TPPA, there is real concern that changing the current colonial flag will enable another New Zealand Experiment, one in which the Crown can hand over the wealth and treasures of this nation to corporations. The Crown, under both the 1835 He Whakaputanga, and the 1940 Te Tiriti O Waitangi, are illegitimate entities that cannot legally sign the TPPA without breaching the partnerships laid down in Te Triti O Waitangi. Thank you for your comments Peter – very interesting and yes I agree with you – it’s the boys networking club and revolving door mentality to be sure – links like the ones you have described here need to be known and shared with all – there is way to much secrecy and you’re right, the government is not for the people – those that think they are are actually the challenge as they guard the gates of change – this article was my attempt at bringing some info into the public consciousness. New Zealand is increasingly referred to in the public square as “Aotearoa” or “Aotearoa New Zealand.” This appears on our passports, the letterheads and signage of government departments, and has even been used on postage stamps in larger print than our country’s real name. This fiction deserves to be mercilessly deconstructed. Tasman’s error was soon corrected. The following year, 1643, the Dutch States-General renamed his discovery “Nieuw Zeelandt,” Anglicised to “New Zealand,” this has been our country’s name for the 372 years that have since elapsed. When the Treaty of Waitangi was drafted in 1840, “New Zealand” was transliterated into Maori as “Nu Tirani” and that is how our country is described for posterity in the Treaty’s Maori language version. Moreover, if documents were to be written in Maori, this continued to be the practice for many decades. For example, when a broadsheet in Maori was posted on the wall of the Karitane Post Office in the early 1940s, “Niu Tirani” had been modified only slightly to “Niu Tireni.” Aotearoa just did not appear. The agenda of those today promoting Aotearoa as an alternative name for New Zealand is to imply that a pre-existing Maori nation state was rudely subsumed by 19th Century white settler governments and must accordingly be reinstated as “co-equal” to our existing government that governs for all New Zealanders. Contrary to modern-day misrepresentation, the Treaty of Waitangi was not with a collective “Maori,” but with tribes, most of whom signed it, some of whom didn’t. When the Treaty was entered into in 1840, New Zealand consisted of hundreds of these dispersed and petty tribes, each in a constant state of war with one another, and lacking any concept of nationhood. Some 512 chiefs signed the Treaty, while a substantial minority refused to, meaning there were probably more than 600 of these individually insignificant groups. Assertions that a Maori nation state existed when the Treaty was signed rest upon formal recognition by England’s King William IV in 1836 of the 1835 Declaration of Independence of the so-called “Confederation of United Tribes” and associated flag. Any “official” recognition of pre-Treaty collective Maori control of New Zealand must be placed in its proper historical context, which ethnic nationalists conveniently omit to do. 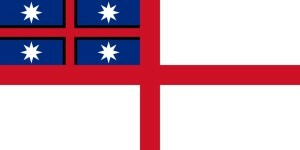 The so-called “Maori Flag” (not the tino rangatiratanga Maori sovereignty flag fudged up in the 1990s) was adopted by Northland chiefs in 1834 at the behest of British Resident James Busby, after a NZ-built ship owned by Europeans was impounded in Sydney for not flying the flag of a recognised nation state. Busby presented the chiefs with a variety of designs. They eventually chose a flag modelled on that of the Church Missionary Society, with which they were well familiar. This was not a Maori initiative, but a Pakeha-brokered expedient to protect New Zealand’s pre-Treaty commerce. Nor was the 1835 Declaration of Independence driven by the puny number of Maori chiefs who signed it. This “paper pellet to fire at the French” was fudged together by Busby to head off Colonial Office fears of an impending takeover by French adventurer, Baron De Thierry. Initially carrying the signatures (or rather the thumbprints) of 35 Northland chiefs, the Declaration was ultimately signed by just 57 chiefs, all residing north of the Firth of Thames. Since these chiefs represented less than 10 percent of all the tribes of New Zealand, the Declaration can hardly be held up as evidence of a national consensus. The arguments of Maori sovereignty activists are further undermined by the impotence of the handful of chiefs who signed the Declaration to act or even deliberate in concert. Signatories had pledged “to meet in Congress at Waitangi in the autumn of each year, for the purpose of framing laws for the dispensation of justice, the preservation of peace and good order, and the regulation of trade.” Inter-tribal animosities meant this body never met nor passed a single law, despite the common undertaking of notional members to do so. At the time of the signing of the Treaty, the North and South Islands had a variety of Maori names, the most popular being Te Ika-a-Māui and Te Waipounamu respectively. However, we must be clear that there was no pre-existing Maori name for what is now New Zealand, because as we have seen, there was no Maori nation state or national consensus to form one. Had there been a Maori name for New Zealand, the missionaries who drafted both the 1835 Declaration and the Maori Treaty text of 1840 (fluent Maori speakers all) would have known of and used it. Instead, they used the same transliteration of New Zealand (“Niu Tirani”) in both documents to get their point across. Maori sovereignty activists, who regard the Treaty of Waitangi as written in concrete if it advances their agenda, have smuggled Niu Tirani out of the public discourse, because its use in the Maori Treaty text underscores the total bankruptcy of their claim to nationhood. “Aotearoa” has been smuggled in as a substitute. “Fabricated” is a far better word. The underlying agenda of the race-hustlers pushing alternative Maori place names is to insinuate into the public mind, through as many channels as possible, their “One country, two peoples” mantra. Constant repetition then creates the false impression of widespread popular acceptance of what is really nothing more than a propaganda claim. “[I]n the big lie there is always a certain force of credibility; because the broad masses of a nation are always more easily corrupted in the deeper strata of their emotional nature than consciously or voluntarily; and thus in the primitive simplicity of their minds they more readily fall victims to the big lie than the small lie, since they themselves often tell small lies in little matters but would be ashamed to resort to large-scale falsehoods. Aotearoa is indeed a grossly impudent lie, one that deserves to be thoroughly eradicated from New Zealand’s public square. As for the claim that Maori never ceded sovereignty, this is also arrant nonsense. The words of the chiefs on the lawn at Waitangi and elsewhere, reiterated 20 years later at the Kohimarama Conference of 1860 make it plain they were well- aware of what they were being asked to do. The words of the chiefs themselves display a full awareness that their acceptance of Governor Hobson would place him in authority over them, and that behind Hobson stood Queen Victoria. Eyewitness accounts of the pre-Treaty debates make it clear that none of the chiefs who signed it thought they were going into “partnership” with the Crown. Those who spoke up for Hobson also leave no doubt that they expected British sovereignty to bring lasting peace to the land. On 5 February 1840, the Treaty was first debated at Waitangi by Ngapuhi chiefs assembled there for that purpose. Te Kemara (Ngati Kawa) spoke first, observing that the effect of signing the Treaty would be for “the Governor to be up, and Te Kemara down.” Under the Governor, he could be “tried and condemned” and even “hung by the neck” should he behave badly enough. Hakitara (Te Rarawa), also stood up for the Governor, though most of his words were drowned out by side conversations taking place after Heke had spoken. After the Treaty was endorsed by the chiefs at Waitangi, Crown agents went throughout New Zealand seeking signatures. Most chiefs could see the benefit of signing and soon did so, but a substantial minority, centred on the Tainui, Tuwharetoa and Tuhoe tribes did not. The words and actions of non-signatories make it clear they had no intention of being ruled over by someone else. Revisionist assertions that the word “mana” (prestige, evidence of breeding) should have been used in the Treaty instead of “kawanatanga” (governance) to ensure the chiefs understood what they were actually being asked to give up are politically useful but factually vacuous. Potatau Te Whero Whero, paramount chief of Tainui, was greatly angered to learn that a handful of minor Tainui chiefs had signed the Treaty at Port Waikato on their own initiative and without his prior approval. To head off any suggestion that the Queen’s authority might extend over the Tainui tribes, he made them return the Crown’s red blankets they’d been given in return for their signatures. The Kohimarama Conference of 1860 was attended by 112 Maori Chiefs, many of whom were Ngapuhi. It had been called to discuss the direct challenge that the Kingitanga [Maori King] Movement was mounting to the Queen’s sovereignty, something the loyal chiefs expected the Crown to quell in the interests of national unity. In 1863, supported (and often aided in the field) by the majority of leading North Island chiefs, the Crown fulfilled its Treaty promise to uphold the sovereignty of New Zealand against the challenge of the Tainui tribes who’d never signed the Treaty in the first place. It put down the Kingitanga Movement by force of arms and punished Tainui with land confiscations as it had earlier warned. I think the Maori people have quite a different point of view regarding most of your statements and your interpretation of history. I will forward this to someone who will be able to acknowledge or refute at least the highlights of your statements. Ka pai…I absolutely abhor the reason this, corporate motivated, National Goverment has corrupted our rights to a democratic process. A GMO process that has spewed out mutated flag fledglings . It stinks so bad, I can smell the TPP bacteria on their breath. $26plus million for a rigged flag referendum shows you how dishonest this Government has become. On the National party fb page, their supporters say ‘feed your own kids ‘ my reply was #FeedYourOwnFlag. They want a referrendum, they should pay for it. We have lost our moral values, our empathy and our integrity if we allow this scam to hoodwink us. Kia ora. It became obvious to me that John Key has been used as an instrument of changing the country to a commercially controlled enterprise when I was involved in a meeting (per chance) where Peter Goodfellow sought my skill to assess whether John Key could be of Prime Minister material 12 years before he was appointed to the position in an election. Once John Key became Prime Minister, Peter Goodfellow became the President of the National Party. Peter Goodfellow is the son of the late Sir Douglas Goodfellow who was owner of the Sanford Fishing company and has big links with fishing quota. I am of the firm belief that attempts to change the flag are by design to enable changes to the NZ Constitution as it stands to one where the peoples of New Zealand will lose all control of their rights in complete ignorance. Many people ‘believe’ that this Government is for the people. Nothing could be further from the truth.